For users of the Particle Tracing Module, COMSOL Multiphysics® version 5.2a brings a new formulation, improvements to the particle trajectories plot, new turbulent dispersion options, and more. Review all of the Particle Tracing Module updates in more detail below. The Newtonian, first order formulation has been added to the Formulation list in the Settings window for all of the Particle Tracing physics interfaces. 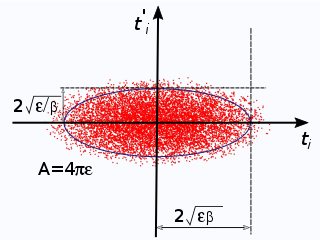 Whereas the Newtonian formulation defines second-order equations for the components of each particle's position vector, the first-order Newtonian formulation defines coupled first-order equations for the particle position and velocity components. 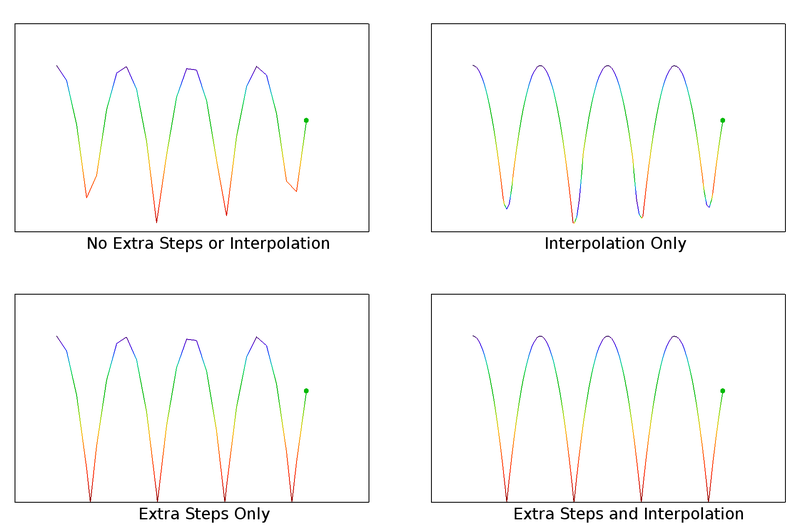 The first-order Newtonian formulation supports all of the same physics features as the second-order formulation, but is easier to combine with explicit time-stepping methods. When the first-order Newtonian formulation is chosen, the default time-stepping method is a high-order Runge-Kutta method instead of the typical second-order implicit method, leading to faster performance in certain nonstiff problems. You can now automatically store the particle trajectories at additional time steps that are close to particle-wall interaction times. Usually, these extra times are automatically selected to be close to the times at which particles interact with boundaries, more accurately depicting the particle-wall interactions during postprocessing. 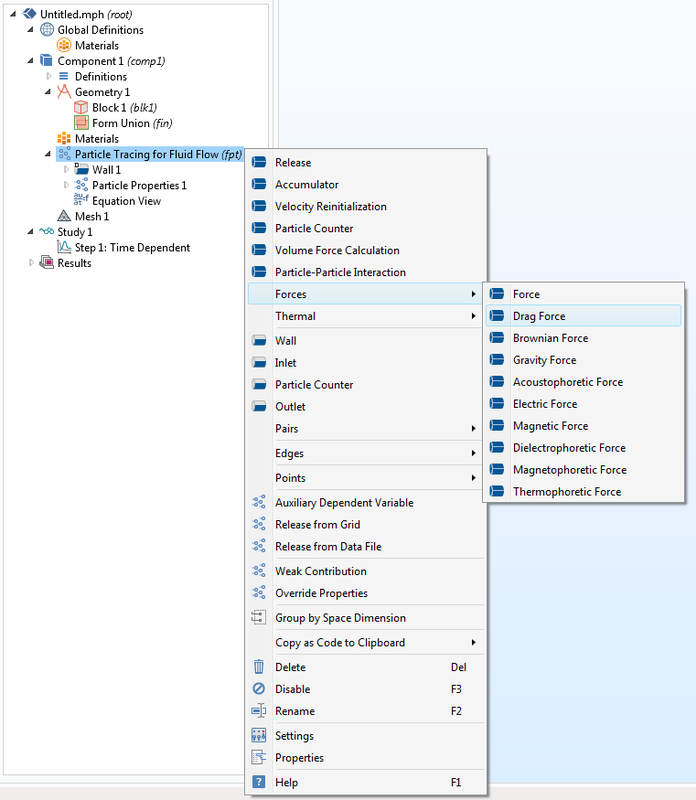 Select the Store extra time steps for wall interactions check box to automatically store a number of additional time steps, in addition to the steps that are specified in the study settings. Trajectory of a single bouncing particle under the influence of gravity; when storing extra time steps, the exact position of each bounce is much more clearly visible in the Particle Trajectories plot. The Particle Beam feature contains several new options and is no longer mesh dependent. 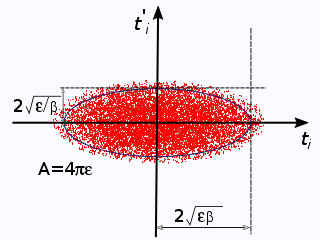 The Sampling from phase space ellipse option, Uniform, has been renamed to KV. Additionally, the phase space distribution is slightly different; some small changes in the solution may appear when recomputing the solution. Two new options for Sampling from phase space ellipse are available: Waterbag and Parabolic. 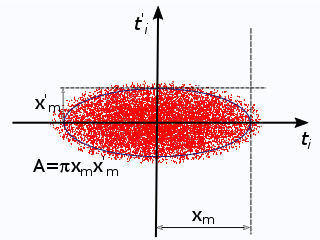 These distribution functions offer alternative loading of particles in phase space (see below). New options are available for the Longitudinal velocity distribution: None, Normal, Uniform, and List of values. 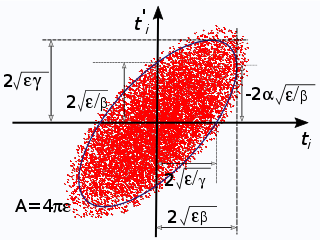 The Normal, Uniform, and List of values options can release multiple particles with a distribution of longitudinal velocities at each release point. The option to apply a turbulent dispersion term to the Drag Force feature has been overhauled. 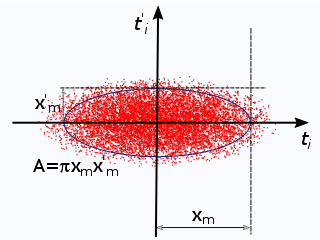 The Turbulent dispersion check box has been replaced with a Turbulent dispersion model list. 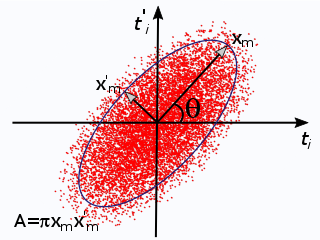 In addition to the Discrete random walk model, which replicates the turbulent dispersion term, you can select Discrete random walk, variable time step, which estimates the eddy lifetime and uses it to control random number seeding in the turbulent dispersion term. Usually, this results in more accurate turbulent fluctuations if the time step taken by the solver is sufficiently small. You can also select a Continuous random walk model to compute the velocity perturbation for each particle due to turbulent dispersion, by integrating a Langevin equation. Pipe elbow erosion: Sediment particles impinge on the wall of a pipe elbow. The incident particles are spread out due to turbulent dispersion in the fluid. The color expression on the walls is proportional to the rate of erosive wear due to the incident particles. You can now model particles as liquid droplets that can break up as a result of external forces. The new Droplet Breakup feature includes two built-in breakup models — the Kelvin-Helmholtz and the Rayleigh-Taylor breakup models — which correspond to two different physical mechanisms for the breakup of liquid droplets into smaller child droplets. Additionally, you can use the new Nozzle feature to release a spray of liquid droplets into the modeling domain. You can specify the spray angle directly or using a built-in equation based on Kelvin-Helmholtz instabilities. Note that to add the Nozzle feature, you must first check the Compute particle mass and Enable macroparticles check boxes in the Particle Tracing for Fluid Flow interface node. A spray of droplets in a cross flow disperses due to the combined effects of droplet breakup and turbulence. The context menu for the Particle Tracing for Fluid Flow interface has been reorganized to improve readability. All forces are now included in a separate Forces submenu. Similarly, if you select the Compute particle temperature check box, all heat sources are included in a separate submenu under Thermal.